Holy cow. Who's that? Never heard of her, but man, what stride piano. And heavens, on two pianos! Look out Keith Emerson and every other rock keyboardist who split themselves between two or more instruments. 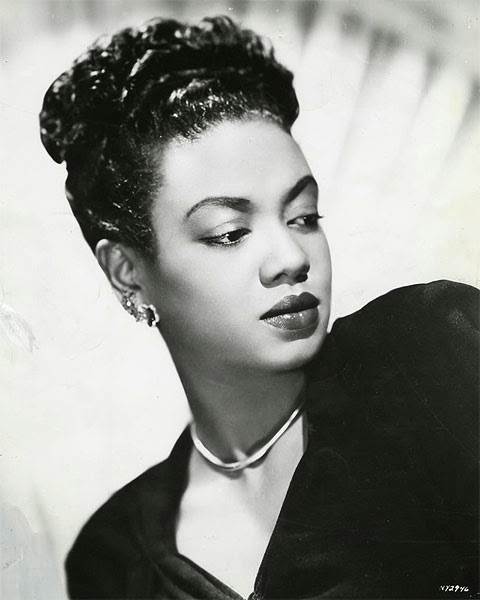 A perusal of YouTube videos under the name "Hazel Scott" reveal a woman of remarkable talent. That woman can play. However, it is also interesting to read about her life being both a woman and black. Our society has a shameful history. Add the lunacy of the McCarthy era, and you have the ingredients of a tragic film noir. Until I ran across the above clip of Ms. Scott, I had never heard of the woman. What a delightful surprise and what a surprising talent. The world is full of amazing people. YouTube video search: "Hazel Scott"
The Heat's On (1943) is a movie musical starring Mae West, William Gaxton, and Victor Moore, and released by Columbia Pictures. ... The movie was not a box office success and West did not return to the screen until 27 years later in Myra Breckenridge (1970). Scott was best-known internationally as a performer of jazz. She was also accomplished in politics, leading the way for African Americans in entertainment and film; and was successful in dramatic acting and classical music. Scott recorded as the leader of various groups for Decca, Columbia and Signature, among them, a trio that consisted of Bill English and the double bass player Martin Rivera, and another featuring Charles Mingus on bass and Rudie Nichols on drums. Her album Relaxed Piano Moods on the Debut Record label, with Mingus and Max Roach, is generally her work most highly regarded by critics today.She was noted for her swinging style, performing at the Milford Plaza Hotel in her last months.